I love it when I’m able to share an idea or project, that sparks the creative bug in someone else. You can read the full post HERE, if you’d like. 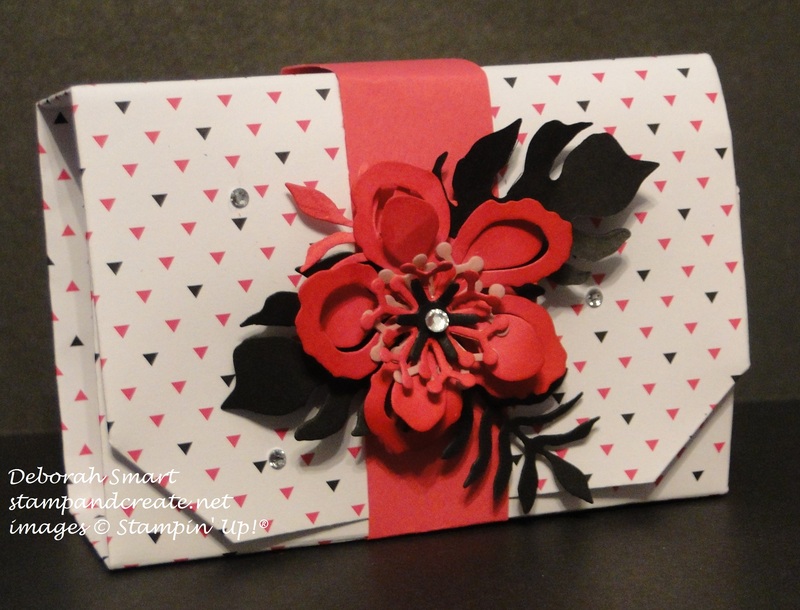 Anyway, I shared this box with my team members, and Margaret P., who I know loves making special boxes & fancy folds took this idea and ran with it! Aren’t these boxes amazing?! I just love the different colours and papers that Margaret used (and yes, it’s okay that they’re not all SU! papers), and the different belly bands. Those little flip-flops on the front right box are so cute! 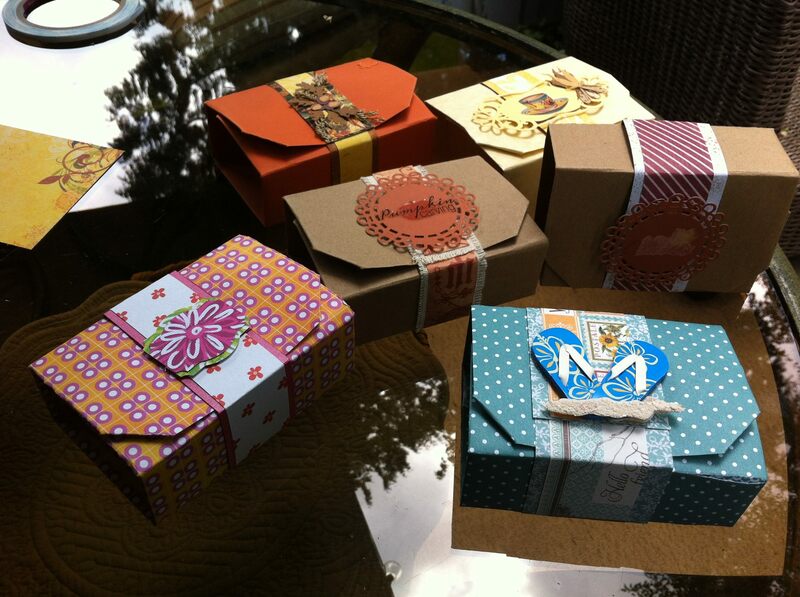 So you see, you can customize these boxes to suit the occasion, and the recipient; and of course, whatever paper and decorations you have on hand to make them. 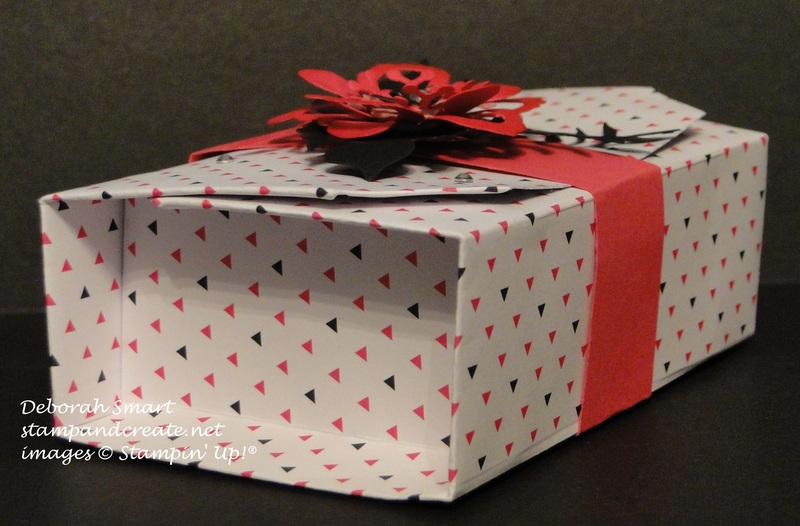 These boxes really are quite easy to make (just read the original post, and I have the link there for the video tutorial); you’re only limited by your imagination. I know that another of my team members, Lynn K., has tried making these as well; hopefully she’ll have a picture to share with me soon. Next Next post: Lots of News Today! I sent you a pic of the box I made. Not SU paper but I did use the botanical dies. I am sorry to hear about your Dad. I hope all goes well with is surgery and he has a fast recovery.